Bomber became super trendy a couple of years ago, and keep on going! 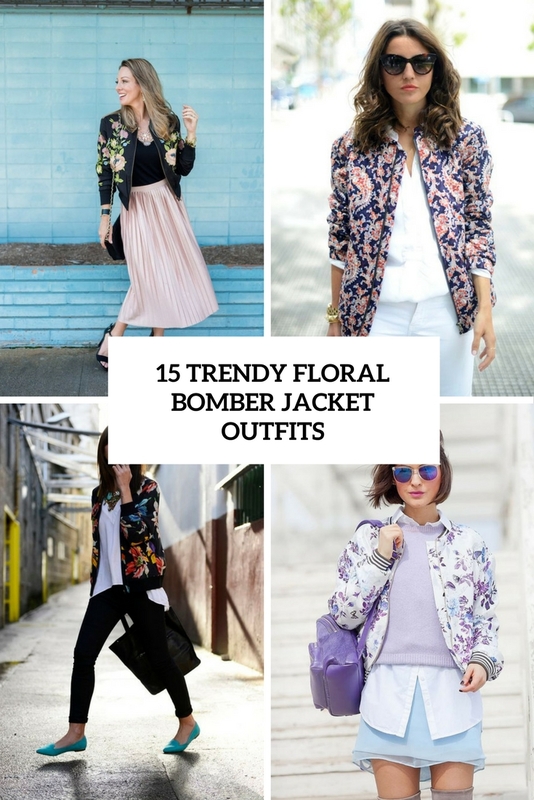 But now usual bombers aren’t that hot, now we are looking for more eye-catching ways to wear a bomber, and a floral bomber is one of them. A floral bomber jacket is among the hottest trends, and many celebrities are rocking it now, if you want to stay in trend, here are some ideas how to style it. 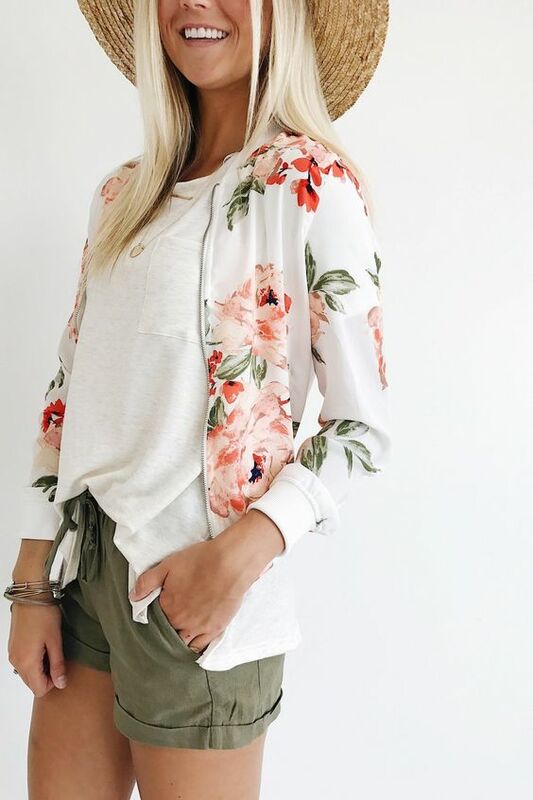 Bombers worn with skirts look awesome, and I can’t imagine a more girlish look than a floral bomber+a skirt, and it’s very edgy. Wear a pleated midi in the color you like, add a neutral top and a bomber with a floral print that you like, all you need to polish it is a pair of sneakers. If it’s summer or spring, why not wear a top, denim shorts and a light floral bomber jacket? You’ll look super hot! Bombers look amazing with jeans or pants of your choice, they seem to be created for each other. Wear distressed denim with heels, sneakers or booties, add a neutral or black top and a bold floral print bomber jacket – such an easy and stylish casual combo! Get inspired by the ideas below!